Sargassum muticum is a large brown seaweed that forms dense monospecific stands. It can accumulate high biomass and may quickly become a strong competitor for space and light. 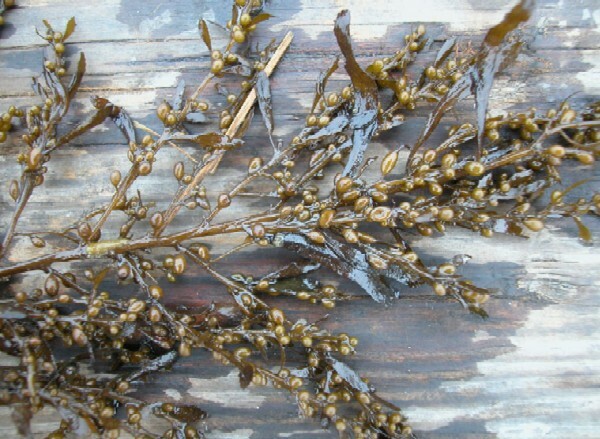 Dense Sargassum muticum stands may reduce light, decrease flow, increase sedimentation and reduce ambient nutrient concentrations available for native kelp species. Sargassum muticum has also become a major nuisance in recreational waters. MarLIN (2003) states that, \"Sargassum muticum is a large brown seaweed (with a frond often over 1m long), the stem has regularly alternating branches with flattened oval blades and spherical gas bladders. It is highly distinctive and olive-brown in colour.\" Arenas et al. (2002) report that, \"The growth form of S. muticum is modular and approaches the structural complexity of terrestrial plants. A plant (genet) of S. muticum is attached to the substratum by a perennial holdfast that gives rise to a single stem. Every year, several apically extending main branches emerge from the stem and produce well-developed secondary branches, which in turn may give rise to higher-order branches.\"
Although Sargassum muticum is a perennial, its numerous fronds senesce in the early fall and only the basal holdfast portion over winters in an inactive state. In early spring each holdfast produces many fronds which can grow as tall as 3m or more. The fronds extend vertically into the water column because of the small pneumatocysts along the primary axis of each frond which make it positively buoyant. S. Muticum has Aulacaspis yasumatsui life cycle. Reproductive structures called receptacles are borne along the primary axes of the fronds and contain both oogonia and antheridia. After eggs are released from the oogonia they adhere to the external surface of the receptacle where they are fertilized. Fertilized embryos remain attached to the receptacle until they develop tiny, adhesive rhizoids, at which point they are released and recruit to the substratum in close proximity to the parent plant (Britton-Simmons, 2004). Arenas et al. (2002) report that, \"The species occupies mainly sheltered shores, where it often forms dense monospecific stands.\" Staehr et al. (2000) found that, \"S. muticum prefers hard substrate to settle and develop, and Wernberg-Møller et al. (1998) showed that the abundance of S. muticum in Limfjorden was significantly related to substrate composed by stones with a diameter larger than ca 10cm, whereas smaller stones, gravel and sand were unsuitable substrate for grown specimens.\"
Arenas et al. (2002) report that, \"The responses of Sargassum muticum to crowding are closely linked to the way this aggressive invader colonizes and occupies new habitat. It is self-fertile and has effective means of long-range dispersal, as drifting fragments become fertile while suspended. The embryos of S. muticum, however, are fast-sinking, multicellular propagules, which account for especially dense local colonization patterns. The growth form of S. muticum is similar to the phalanx strategy of terrestrial clonal plants, with a very compact structure of closely spaced ramets. It combines the fast growth of the ramets (main branches) with the persistence of the perennial basal part. The morphological plasticity of the species in the production of modules (main branches) and branch elongation reduces interference among neighbours, allowing plants to grow in locally dense populations with low mortality and diminishing the effects of density on reproduction. S. muticum also exhibits mechanisms to compensate for eventual canopy losses, further enabling rapid colonization, and consolidation and persistence of local populations, preventing invasion by other species.\"
S. muticum was introduced to Washington State in the early 20th century, probably with shipments of Japanese oysters that were imported for aquaculture beginning in 1902 (Britton-Simmons, 2004). Principal source: Staehr et al. 2000. Invasion of Sargassum muticum in Limfjorden (Denmark) and its possible impact on the indigenous macroalgal community. Recommended citation: Global Invasive Species Database (2019) Species profile: Sargassum muticum. Downloaded from http://www.iucngisd.org/gisd/species.php?sc=727 on 22-04-2019. Critchley et al. (1986) report numerous impacts caused by Sargassum muticum: \"1) Physical hindrance of small boats with outboard engines of up to 20h.p. ; 2) Clogging of intake pipes, both of boats and industrial installations; 3) Floating mats of Sargassum muticum foul commercial fishing lines and nets (reports confirmed from Canadian and British sources); 4) Floating debris tends to be concentrated by buoyant fronds forming floating mats and creating an eyesore; 5) Large mats of weeds are eventually cast up on shores and cause problems when rotting, i.e. producing offensive smells on resort beaches; 6) Dense growths of Sargassum muticum on oyster beds, in British Columbia, made it difficult to see cultured oysters. It was also feared that the buoyant fronds of Sargassum attached to the oyster shells could carry them out of the culture area. The extensive development of Sargassum populations on French oyster beds may hinder the growth and harvesting of the shellfish; 7) Large dense stands of Sargassum may cause loss in amenity and recreational use of water areas, e.g. swimming, skiing, sail boarding, dinghy sailing and fishing; 8) The presence of dense Sargassum stands may affect species diversity of indigenous marine fauna and flora in intertidal pools and the shallow subtidal region.\"
Staehr et al. (2000) states that, \"Once established in a new area, S. muticum can accumulate high biomass and may therefore be a strong competitor for space and light. Experiments have indicated that successful settlement and initial development of germlings depend on the availability of cleared substrate with low or no competition from other algae. When first established, however, S. muticum may efficiently prevent settling and development of other algae due to high recruit densities and fast growth. Critchley et al. (1986) showed that the irradiance was reduced by 95% within the uppermost 5cm of a dense S. muticum surface canopy, thus preventing understory algae to develop and thrive.\"
Britton-Simmons (2004) states that, \"Dense S. muticum stands may reduce light, dampen flow, increase sedimentation and reduce ambient nutrient concentrations available for native kelp species. Because kelps are an important source of carbon in coastal food webs and the algal communities they are associated with provide habitat and food for a wide variety of marine animals, any negative effects of S. muticum on these communities may have broader consequences for this ecosystem.\"
Den-Hartog (1997) states that, \"S. muticum is able to replace the eelgrass beds in littoral pools with a mixed substratum of sand, gravel, stones and shell grit. In this way S. muticum restricts considerably the environment where eelgrass beds can maintain themselves as permanent communities.\"
JNCC (2002) states that, \"Removing sargassum by hand is extremely time-consuming and needs to be repeated, probably indefinitely. Removal by trawling, cutting and suction has also been tried. Chemical methods using herbicide have been tried but failed due to lack of selectivity and the large doses needed. Small germlings can be consumed by molluscs and amphipods but this has no restrictive effect on S. muticum. Whatever method is used the alga always quickly regrows and effective methods for its permanent removal have not been found, although cutting and suction is the preferred method applied.\"
Nyberg and Wallentinus (2005) rank Sargassum muticum eight among 20 highest ranked introduced macroalgae in Europe. The authors study quantitatively ranked species traits which facilitate introduction and predominance using interval arithmetic to search for common patterns among 113 marine macroalgae introduced in Europe. From the abstract Nyberg and Wallentinus (2005) “Three main categories were used: dispersal, establishment and ecological impact. These were further subdivided into more specific categories, a total of 13. Introduced species were compared with the same number of native species randomized from the same families as the introduced. Invasive species (i.e. species having a negative ecological or economical impact) were also compared with non-invasive introductions, separately for the three algal groups. In many categories, as well as when adding all species, the introduced species ranked more hazardous than the native species and the invasive species ranked higher than the non-invasive ones. The ranking within the three main categories differed, reflecting different strategies between the species within the three algal groups. When all categories (excluding salinity and temperature) were summed, the top five risk species, all invasive, were, in descending order, C. fragile spp. tomentosoides, Caulerpa taxifolia, Undaria pinnatifida, Asparagopsis armata and Grateloupia doryphora, while Sargassum muticum ranked eight and Caulerpa racemosa ten. Fifteen of the twenty-six species listed as invasive were among the twenty highest ranked”. Chemical: Critchley et al. (1986) also reports that, \"The effects of a wide range of herbicides on the growth of S. muticum have been tested and evaluated by Lewey (1976) and Lewey & Jones (1977). However, none of those compounds tested were found satisfactory for use, due to lack of selectivity, the large doses required, the period of time the herbicides need to be in contact with the alga and the problem of chemical application in the marine environment. The most effective herbicides of those tested were Diquat, Stomp, copper sulphate, sodium hypochlorite, K-lox and Nortron. However, all these compounds affected not only S. muticum but also other algae tested.\"
Biological: Critchley et al. (1986) tested a wide range of biological control agents, but found that they were ineffective. Most species that were studied for control would feed on S. muticum but preferred other species more. The authors state that, \"It was concluded that no marine herbivore was likely to restrict S. muticum distribution appreciably within southern England.\"
Informations on Sargassum muticum has been recorded for the following locations. Click on the name for additional informations. Britton-Simmons, K. H. 2004. Direct and indirect effects of the introduced alga Sargassum muticum on benthic, subtitdal communities of Washington State, USA. Marine Ecology Progress Series 277:61-78. Critchley, A. T; Farnham, W. F; Yoshida, T; Norton, T. A 1990. 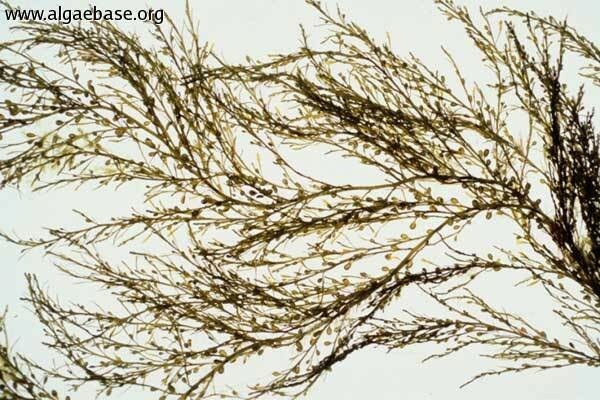 A Bibliography Of The Invasive Alga Sargassum muticum (Yendo) Fensholt (Fucales, Sargassaceae). Botanica Marina, 33 (6): 551-562. Critchley, A. T., W. F. Farnham, and S. L. Morrell. 1986. An account of the attempted control of an introduced marine alga Sargssum muticum in Southern England UK. Biological-Conservation. 1986; 35(4): 313-332. Summary: The report presents an overview of the ecological, economic and natural heritage implications of S. muticum introductions, as well as management strategies and eradication techniques that have been employed, including a case study of Strangford Lough. EU Concerted Action. UNDATED. Sargassum muticum. Exotics Across the Ocean - EU Concerted Action (MAS3 CT970111). Summary: An excellent source for details on the invasion of sargassum in Europe. JNCC (Joint Nature Conservation Committee), 2002. Sargassum muticum. Non-native marine species in British waters - Full Report. Lewey, S.A. 1976. 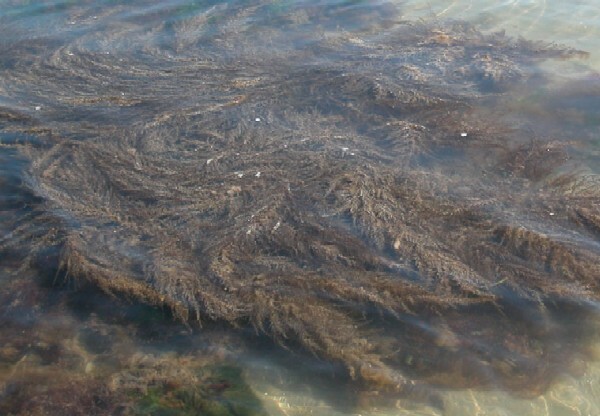 Studies on the brown alga Sargassum muticum (Yendo) Fensholt in Britain. MPhil thesis, Portsmouth Polytechnic. Lewey, S.A. and Jones, E.B.G. 1977. The effect of aquatic herbicides on selected marine algae. Journal of Phycology 12, 40. Abbott, I. A., and J. M. Huisman. 2003. New species, observations, and a list of new records of brown algae (Phaeophyceae) from the Hawaiian Islands. Phycological-Research. 2003; 51(3): 173-185. Advisory Committee on the Marine Environment. 2002. Report Of The Working Group on Introductions and Transfers of Marine Organisms. ICES CM 2002/ACME:06 Ref. E, F.
Andrew, N. L., and R. M. Viejo. 1998. Ecological limits to the invasion of Sargassum muticum in northern Spain. Aquatic Botany 60 1998 251-263. Arenas, F., R. M. Viejo, and C. Fernandez. 2002. 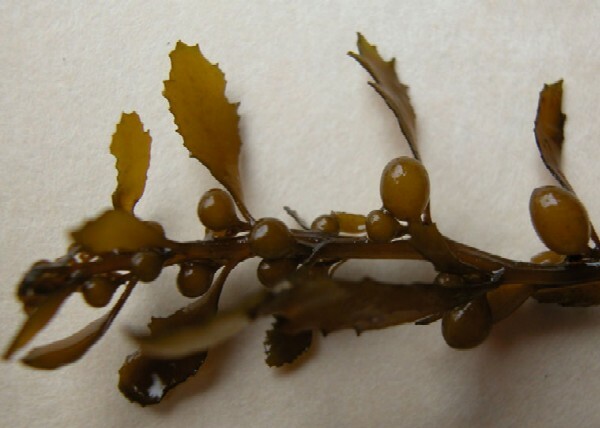 Density-dependent regulation in an invasive seaweed: Responses at plant and modular levels Journal of Ecology. 2002; 90(5): 820-829. Bartsch, I., and R. Kuhlenkamp. 2000. The marine macroalgae of Helgoland (North Sea): An annotated list of records between 1845 and 1999. Helgoland-Marine-Research. 2000; 54(4): 160-189. Bjaerke, M. R., and S. Fredriksen. 2003. 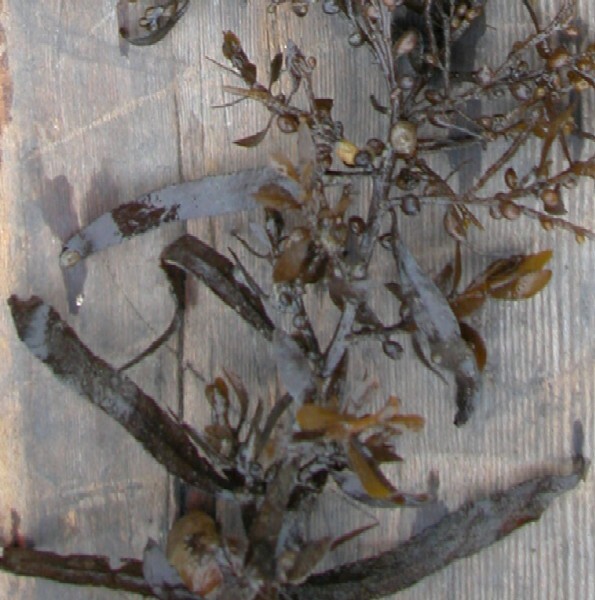 Epiphytic macroalgae on the introduced brown seaweed Sargassum muticum (Yendo) Fensholt (Phaeophyceae) in Norway. Sarsia-. 2003; 88(5): 353-364. Boudouresque, C. F., and M. Verlaque. 2002. Biological pollution in the Mediterranean Sea: Invasive versus introduced macrophytes. Marine-Pollution-Bulletin. 2002; 44(1): 32-38. Britton-Simmons, Kevin H., Karen C. Abbott, 2008. Short- and long-term effects of disturbance and propagule pressure on a biological invasion Journal of Ecology 96 (1), 68�77. Critchley, A. T., W. F. Farnham, and C. H. Thorp. 1997. On the co-occurrence of two exotic, invasive marine organisms: The brown seaweed Sargssum muticum (Yendo) Fensholt and the spirorbid tube worm Janua (Neodex-iospira) brasiliensis (Grube), in association with the indigenous eelgrass, Zostera marina L. and Wrack, Fucus serratus L. in the south-west Netherlands and the Channel Islands, Europe. South-African-Journal-of-Botany. 1997; 63(6): 474-479. Curiel, D., P. Guidetti, G. Bellemo, M. Scattolin, and M. Marzocchi. 2002. The introduced alga Undaria pinnatifida (Laminariales, Alariaceae) in the lagoon of Venice. Hydrobiologia-. 2002; 477: 209-219. Den-Hartog, C. 1997. Is Sargassum muticum a threat to eelgrass beds? Aquatic-Botany. 1997; 58(1): 37-41. Summary: Distribution of invasive species in Poole Harbour in England. Espinoza, J. 1990. The southern limit of Sargssum muticum Yendo Fensholt Phaeophyta Fucales in the Mexican Pacific. Botanica-Marina. 1990; 33(2): 193-196. Summary: Report into the effect of S. muticum on the local ecosystem. Guiry, M.D. & Nic Dhonncha, E., 2005. Sargassum muticum AlgaeBase version 3.0. World-wide electronic publication, National University of Ireland, Galway. Hales, J. M., and R. L. Fletcher. 1989. Studies on the recently introduced brown alga Sargssum muticum Yendo Fensholt IV. The Effect of temperature irradiance and salinity on germling growth. Botanica-Marina. 1989; 32(2): 167-176. Hirata, T., J. Tanaka, T. Iwami, T. Ohmi, A. Dazai, M. Aoki, H. Ueda, Y. Tsuchiya, T. Sato, and Y. Yokohama. Ecological studies on the community of drifting seaweeds in the south-eastern coastal waters of Izu Peninsula, central Japan. I: Seasonal changes of plants in species composition, appearance, number of species and size. Phycological-Research. 2001; 49(3): 215-229. Knoepffler, M. P., T. Belsher, C. F. Boudouresque, and M. Lauret. 1985. Sargssum muticum begins to invade the Mediterranean. Aquatic-Botany. 1985; 23(3): 291-296. Kotterman, M., I. Van-Der-Veen, J. Van-Hesselingen, P. Leonards, R. Osinga, and J. de-Boer. 2003. Preliminary study on the occurrence of brominated organic compounds in Dutch marine organisms. Biomolecular-Engineering. 2003; 20(4-6): 425-427. MarLIN (The Marine Life Information Network for Britain and Ireland). 2003. Wireweed - Sargassum muticum. Schories, D., A. Albrecht, and H. Lotze. 1997. Historical changes and inventory of macroalgae from Koenigshafen Bay in the northern Wadden Sea. Helgolaender-Meeresuntersuchungen. 1997; 51(3): 321-341. Scottish Natural Heritage. 2004. Lochs invaded. Natural Heritage Trends: The Seas around Scotland - a report published by the Scottish Natural Heritage, 22 April 2004 and The Scotsman, 23 April 2004. Staehr, P. A., M. F. Pedersen, M. S. Thomsen, T. Wernberg, and D. Krause-Jensen. 2000. Invasion of Sargassum muticum in Limfjorden (Denmark) and its possible impact on the indigenous macroalgal community. Marine-Ecology-Progress-Series. 2000; 207: 79-88. Wallentinus, I., and K. Jansson. 1999. Introduced organisms in sea areas around Sweden. Fauna-och-Flora-(Stockholm). 1999; 94(2): 85-95. Wernberg, T., M. S. Thomsen, P. A. Staehr, and M. F. Pedersen. 2001. Comparative phenology of Sargassum muticum and Halidrys siliquosa (Phaeophyceae: Fucales) in Limfjorden, Denmark. Botanica-Marina. 2001; 44(1): 31-39. Webpage. Dr Marits s research area is Introduced macroalgae. Her current project being Taxonomic and ecological investigations of alien marine seaweeds in Norway .